This site is one of a number of integrated instant messenger platforms on the web. They allow users of multiple clients to link up and share data and screen time from a single application. This a brilliant interface based on Java which makes it incredibly easy to meet, present and collaborate in virtual space. The software works for PCs, Macs and even using Linux. It is all pretty intuitive and familiar if you're accustomed to messenger applications. One really cool feature is Web Share where participants don't even need the software installed to join your session. Instead they access it through the Yuuguu website using a Flash based screen - though small delays could be experienced when viewing a presentation in this way. 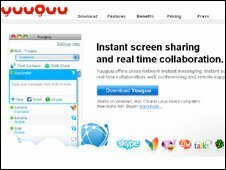 Yuuguu is free for up to 100 minutes per month for five users in one session. If that is not enough you can host up to 30 users for unlimited minutes if you don't mind shelling out $15 (£9) a month. It is a small price to pay for so many collaboration tools and options and certainly one of the cheapest I've seen on the market. There is something slightly disturbing about launching a website to find that the food of the day is proudly announced as cabbage. 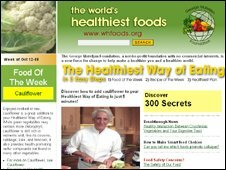 What I've found is that it really is incredibly good for you, as explained on this site. As well as recipes and ideas involving the so-called superfoods - which are said to keep you fit and healthy - you can visit the food adviser for tips on how to improve your intake and work towards living a healthier lifestyle. Twit.tv, which stands for This Week in Tech.tv, is the definitive destination for technology addicts. Here you will find what I consider to be one of the best, most entertaining podcasts on the subject of tech. And let's face it, technology news doesn't exactly have the reputation of being good material for comedy. 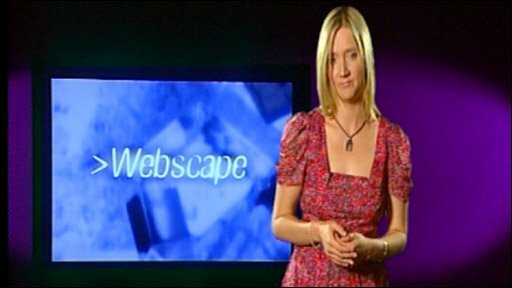 It's a spin off from the now defunct TechTV and features the same hosts that made that channel such a cult hit. You can download the podcast for free or just listen to it online on the website. If you click the Live tab you experience these super geeks in their natural habitat watching the shows being recorded. Altogether a well thought out and entertaining variety of shows. 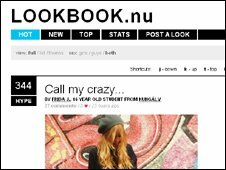 This original community-driven website is where all the most chic and underground fashions the world over are laid bare. The idea here is that members of the site post their latest fashion looks while the rest of the community gets to comment and "hype up" the looks they like. There are some truly remarkable styles to be seen here as they come from every corner of the globe from people with all different types of background. Quite a change from the usual magazine glossy spread filled with carbon copy models. Unusually, this website offers registration by invitation only. This is perhaps designed to keep the riff raff out and the stylish in, as you can't post without registering. For the rest of us mere mortals, it is a great place to browse for ideas and inspiration.